The package of bills had passed the legislature earlier this month in accord with the requirements of Amendment 64, which won with 55% of the popular vote last November. That groundbreaking vote led Hickenlooper to sign an order legalizing marijuana possession and to appoint an Amendment 64 Implementation Task Force late last year, which provided guidance to the legislature. That guidance informed the legislation that followed. House Bill 1317 and Senate Bill 283 create the framework for regulations governing marijuana retail sales, cultivation, and product manufacturing. Under the provisions of Amendment 64, the Colorado Dept. of Revenue has until July 1 to develop the specific regulations necessary for implementation. House Bill 1318 enacts a 10% special sales tax on retail sales of non-medical marijuana (in addition to standard state and local sales taxes) and a 15% excise tax on wholesale sales of non-medical marijuana. 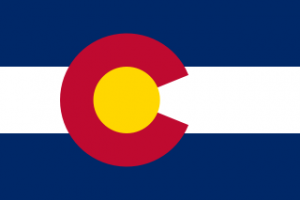 Voters must approve the new taxes this November in accordance with Colorado's Taxpayer Bill of Rights (TABOR). More than 75% of Colorado voters would support such a proposal, according to a survey conducted last month by Public Policy Polling. Senate Bill 241 initiated the development of a regulatory framework for the commercial cultivation, processing, and distribution of industrial hemp. "We applaud Gov. Hickenlooper for the initiative he has taken to ensure the world's first legal marijuana market for adults will entail a robust and comprehensive regulatory system" said Mason Tvert, director of communications for the Marijuana Policy Project, who served as an official proponent of Amendment 64 and co-director of the campaign. "This marks another major milestone in the process of making the much-needed transition from a failed policy of marijuana prohibition to a more sensible system of regulation." "Despite not supporting Amendment 64, our governor has shown true leadership by ensuring his office and the general assembly implemented the will of the voters," said Art Way, senior drug policy manager for Colorado for the Drug Policy Alliance. "These implementing pieces of legislation signed by the governor are the beginning of statewide efforts to bring marijuana above ground in a manner beneficial to public health and safety." "Colorado is demonstrating to the rest of the nation that it is possible to adopt a marijuana policy that reflects the public's increasing support for making marijuana legal for adults," Tvert said. "Marijuana prohibition is on its way out in Colorado, and it is only a matter of time before many more states follow its lead." "The governor has signed off for Colorado to take the lead on taxing and regulating marijuana for adult use," said Way. "I'm confident our state has, and will continue to do it responsibly. After all, we have experience and expertise in comprehensively regulating medical marijuana on a large scale. We have a blueprint." This isn't exactly the first legal marijuana market. There was a legal marijuana market from the beginning of time up until the 1930s. This is the first legal market since prohibition began. With all those taxes, how much is an ounce going to cost for medical? And recreational?